The big day has arrived and the first match of FIFA World Cup is all set to begin in few hours at the iconic Luzhniki Stadium. Being one of the most awaited games in Group A, there are so many predictions coming up on who is going to take away the shine from today’s night. Before concluding anything, let’s see what waits you in tonight’s game. The grand and glitzy opening ceremony at Luzhniki Stadium, Moscow would have more than 500 dancers, gymnasts, and trampolinists performing to pay an opening extravaganza & paying homage to Russia’s culture and traditions. An firework display that would lit up hearts too also on cards. Midfielders: Denis Cheryshev (Villarreal), Alan Dzagoev (CSKA Moscow), Yuri Gazinsky (FC Krasnodar), Alexander Golovin (CSKA Moscow), Daler Kuzyaev (Zenit St. Petersburg), Alexander Samedov (Spartak Moscow), Alexander Yerokhin (Zenit St. Petersburg), Anton Miranchuk (Lokomotiv Moscow), Yuri Zhirkov (Zenit St. Petersburg), Roman Zobnin (Spartak Moscow). Fedor Smolov – The biggest star in Russia team will lead the side upfront. The striker has scored 12 goals in 32 games for the Sbornaya, and one of those goals was the winner against New Zealand in the first match of the 2017 FIFA Confederations Cup. Mohammad Al-Sahlawi managed to score 16 goals in World Cup qualifying. There is no doubt that Al-Sahlawi is Saudi Arabia’s best striker. He won the best player of the league twice in a row in 2013/2014 and 2014/2015. Ranked 70th in the FIFA World Rankings, Russia is the lowest ranked team at the FIFA world cup. Saudi Arabia has ranked three spots ahead of them in 67thspot as the second lowest ranked team at the World Cup. Russia and Saudi Arabia have faced each other only once in history. 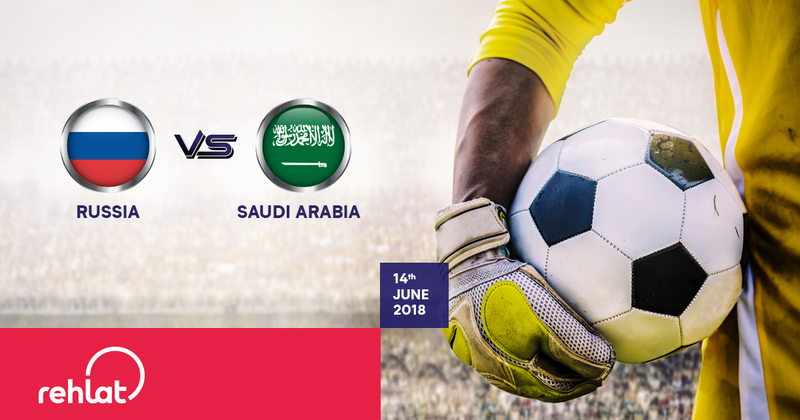 The Green Falcons beat the Sbornaya 4-2 at a friendly match in 1993. 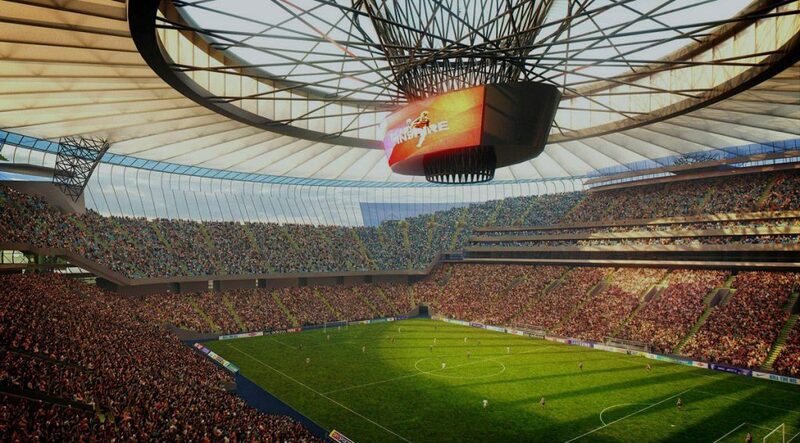 Luzhniki stadium is the center stage of the FIFA World Cup 2018™, where the 2018 FIFA World Cup will open and close. Russia’s showpiece stadium, the Luzhniki is the biggest sporting arena in the country and is one of the biggest in Europe. Opened in 1956, Luzhniki stadium accommodates 81,000 viewers at a time. Luzhniki Stadium is situated close to the city center and all the popular attractions of Moscow. So getting there isn’t a big task for visitors, especially for FIFA 2018 FanID holders, who have an opportunity to enjoy free rides on Moscow’s ground transportation, metro and Central Circle. The Luzhniki Stadium is a walking distance from two Metro stations: Sportivnaya and Vorobyovy Gory. Apart from cheering your favorite team and enjoying the opening match in Moscow, you can also visit the famous sightseeing attractions around the Luzhniki Stadium. Here we have listed out the popular attractions to visit. Have a look and plan your itinerary accordingly. Taxi: The drive to the Kremlin from Luzhniki Stadium requires 20-25 minutes. 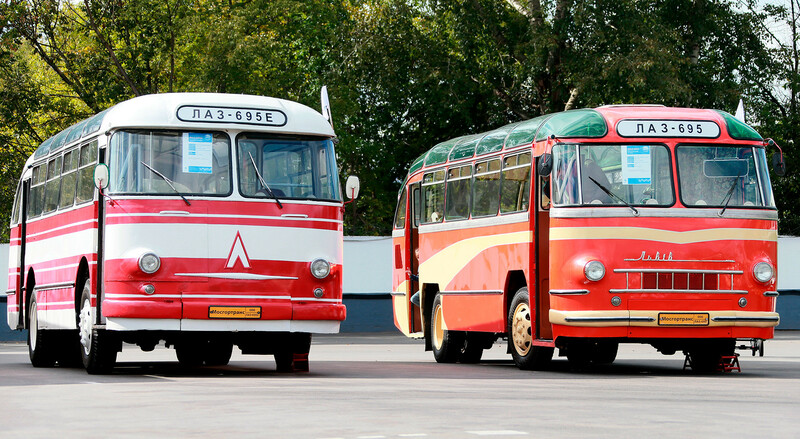 Public transport: The major public transport option is to take the metro from Luzhniki Stadium to the Kremlin. Taxi: The drive to the Red Square from Luzhniki Stadium requires takes 20-30 minutes. 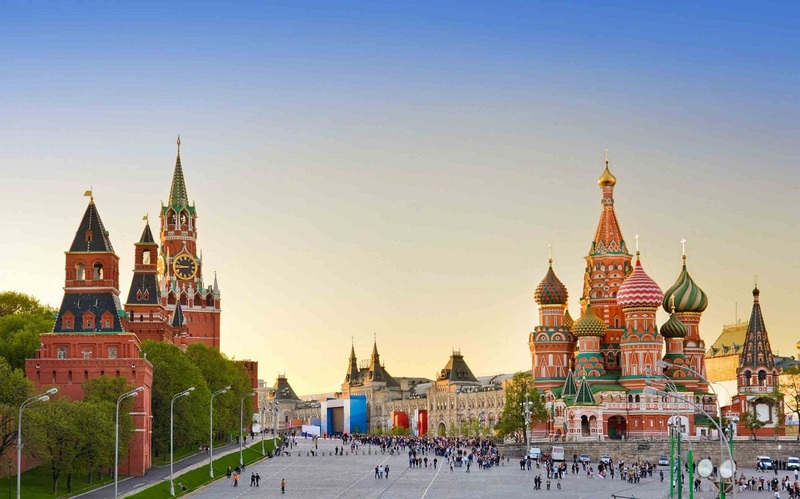 Public transport: Reaching Red Square and St. Basil’s Cathedral (located on the square) requires just over 30 minutes from Vorobyovy Gory Metro Station. Taxi: You can reach the Bolshoi Theatre in around 30 minutes by car. Public transport: Walk ten minutes to Vorobyovy Gory Metro Station and catch a northbound train on the red line.